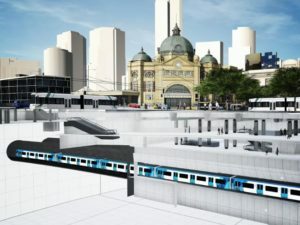 This two hour school tour explores places in the city centre that tell historic and contemporary economic stories showing how Melbourne’s residents and the physical city have responded to ever-changing local and global economic events over time. We aim to make students excited about studies of economic and business by experiencing its affects in daily life. We also allocate identities to students of people who have influenced change in Melbourne. In 2015-2016 Melbourne contributed 28.4 per cent of Australian GDP growth, the highest on record. Key assets include the lanes system, fine arts and sport, food, medical facilities, construction, financial services, tourism and international education services. It ranks 24 in the top world cities in the Global Financial Centres Index. What makes a city economically and globally successful? How has the physical city responded to people’s economic and social needs? How do small businesses prosper? What are the City’s global economic threats and challenges including climate change? Locations depending on access on the day can include carbon neutral Federation square (carbon neutral, cultural hub), Hosier Lane ( tourism, social enterprises), Flinders Lane (textiles and globalisation), Cathedral arcade ( Bohemian Index), BHP Billiton (multinational and heritage), 260 Collins (retail), Old Melbourne Stock Exchange, Royal Arcade (small business), Town Square (Melbourne Metro) and other key locations in the CBD that tell the economic story. ‘The Economic tour was extremely educational and engaging. A great experience for students and teachers. Both students and teachers gained a lot of knowledge. Will definitely be back again. Many thanks to Meyer and Eve for being amazing tour guides.’ Mt Hira College, March 2017. The students were thrilled with the tour and the depth of material provided during our walk through the CBD. The variety of stops, sites and activities were diverse and engaging. The social enterprises contrasted with profit enterprises were a fantastic contrast for the students to observe different views on wealth and opportunities for growth. Meyer, was one of the most enthusiastic, knowledgeable and captivating tour guides we have ever used. The students were thrilled and entranced. Thank you for the opportunity to see more of Melbourne in a different light, SOSE Coordinator, Year 12, St Mary MacKillop College, Canberra 2017. The transforming city: 25 years ago there were 400 residents in the city centre. Today 50,000 an increase of 250 times. Voted seven times worlds most liveable city. What is going on here? a. Meeting place hub. The piazza Nearamnew celebrates two nations Australian and Kulin. One founded on a global sheep trade and global movements of people. The other a single ancient nation with internal trade. One founded on industrial revolution and individual acquisition. The other on communalism and self sufficiency. b. Cultural and communications hub. Institutions of the square include NGV, ACMI, SBS , Atrium, Koorie Heritage Trust, BMW Edge, The plaza screen, Visitors Centre, Birrarung Marr. It also links to the MCG. Tourism and arts are huge economic drivers. c. Climate change is a major challenge to Melbourne’s econdomic future with the city population doubling in the next 20 years. Federation Square is leading the way, it became carbon neutral in 2016. Flinders Street Station: First steam train 1854. Communications hubs are economic drivers in a vast country and small population. 800,000 visitors a day. Public transport crisis due to lack of past investment. Port Phillip Arcade: will be destroyed by 2018 for a massive $9b underground metro 2018-26 . Cities need continual reinvestment of infrastructure. Eureka demonstrations. Gold as a driver of immigration and wealth acquisition. Movements of people and capital. The Churches have huge economic holdings in property and shares used to deliver social services across Australia including nursing homes and schools. The value of volunteers in Victoria is equivalent to to 400,000 jobs and over 17b dollars. Young and Jackson/Batmans home. Melbourne Treaty. Land as individual property vs land as communal and sacred. Immigration as a driver of construction and property values. Hosier /Flinders Lane: Demise of textile industry due to globalisation and tarrif removal. Old industries replacing new industries. The Arts industry. Art as promoter of safety and industry in the lanes. Homelessness services: social services are 19% of the economy. How can disparities of wealth affect social conflict and the economy. The economic value of walking cities and connectivity. BHP, Collins Street: first six star Green building in Victoria. Based in Melbourne BHP is the worlds largest miner and has operated in England, Colombia, South America, Canada, South Africa, Australia, Brazil, Suriname and New Guinea. Its Charter include sustainability and environmental responsiveness. Melbourne town Hall: The City of Melbourne is home to Australia’s most culturally diverse communities – 140. It attracts the largest proportion of international overseas immigrants (48,000) since 2006. How is Immigration an economic driver? How do migrants foster global relations? 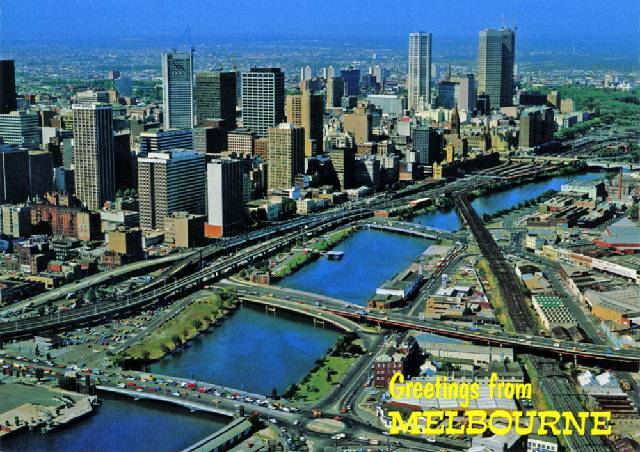 The City of Melbourne has an area of 36 square kms with 130,000 residents. How do democracies foster economies? The City Crest: the economic city founding. Nicholas building. Bohemian Index theory Richard Florida. Art as an economic driver. Degraves and Centre Place: Restructuring the lanes system for to promote venues or ‘piazzas’ for pedestrians accessing small businesses such as food, culture, retail, tourism. Walking is a key to economically successful cities. Degraves subway: Creative spaces program to promote gathering places to promote safe spaces, promote economic tourism and vitalise venues for small businesses. Host city of the 1956 Summer Olympics, 2006 Commonwealth Games. Our major sporting events deliver a combined annual economic impact to Victoria of around $1.4 billion. 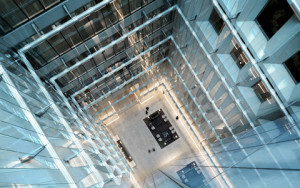 271 Collins St/333 Collins: Melbourne is home to two of Aust biggest four banks ie NAB and ANZ. The Great Crash 1893 . Depressions are a severe downtown in the economy. Responsible banks are essential. They loan money for business and individuals to buy goods such as cars and homes which grows the economy. St Collins Lane. Retail businesses of the future. How does a 21 millenium building compare to the 19th C Block Arcade. Block and Royal Arcade: Role of citizen meeting places in successful cities. Fashion and food as economic drivers. Gold diverted into property. The scales: changes from Imperial systems. What makes a small business successful? GPO: Communication systems in an economy. H & M – a global youth market. Bourke Street Mall/Hoddle Street Grid. Walkability is a key feature of liveable and viable cities. There is a a direct link between a city’s economic prosperity and safe convenient pedestrian experience. View: Melbourne has an automated pedestrian counting system in real time. People who walk buy from local businesses. Citizens who give back – Sidney Myer. Trams: Say hello to electric cars – the world’s largest urban tram network. 203.8 million passenger trips in 2015-16. How can old technologies foster new economies? Coles Book Arcade: Reading and education foster skills. 30,000 International students contribute to the economy. Melbourne in 2015-16 was ranked 2nd best city in the world for International students after Paris. There are at least 3 universities in the heart of the CBD. Manchester Unity: The citizens response to depressions. Corporate citizenship. ANZ Gothic Bank/Stock Exchange/Banking Museum: First stock exchange in Australia 1852.